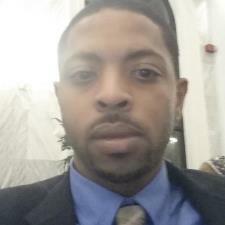 I am currently a teacher at CICS - Longwood located in Chicago, IL. I've currently been working in the education field for the past 10 years in various capacities. One of them being tutoring. Having just received my second MBA in education I believe an education will be one of the main paths to a happy and successful life. During my tenure I have tutored on the high school and elementary school level. Many of my students have gone on to graduate college and/or move on to high school more confident. In today's rapid growing society I believe that students must put themselves in a position that makes them marketable. Having a strong academic background can ensure students get accepted in the schools they choose, pass ACT/SAT and also achieve success in those tough subjects. By providing a one on one approach through tutoring students are able to get their specific needs met in a way that is not available in a traditional classroom setting. It is a one on one environment where the only outcome will be growth in content and thought process. I have had a love for Math my entire life. Sending me down a path to receiving an undergraduate degree in Electrical Engineering. I am currently working on a teaching endorsement that allows me to take my love for math and teach it all day everyday. I have coached the past 10 years in Chicago Public Schools. During this time as an assistant I won a city and state championship. As a head coach I have a winning record and am known throughout the basketball community as one of the top coaches. This success has helped me become the director for Meanstreets Select Basketball organization. An extension of Meanstreets EYBL team that has produced many professional and college players. I am in the position I am in today because someone took the time to tutor, coach and believe in me. Now I am continuing on my quest to return the favor. Working with students and seeing them grow is a passion of mine that I do not take lightly. I look forward to working with you in the near future. Kyle hasn’t set a schedule.